Curve Digital has announced that FuturLab’s shoot em up and platformer hybrid Velocity 2X is coming to Nintendo Switch on September 20th. This will be the first time a Velocity title has appeared on a Nintendo platform. 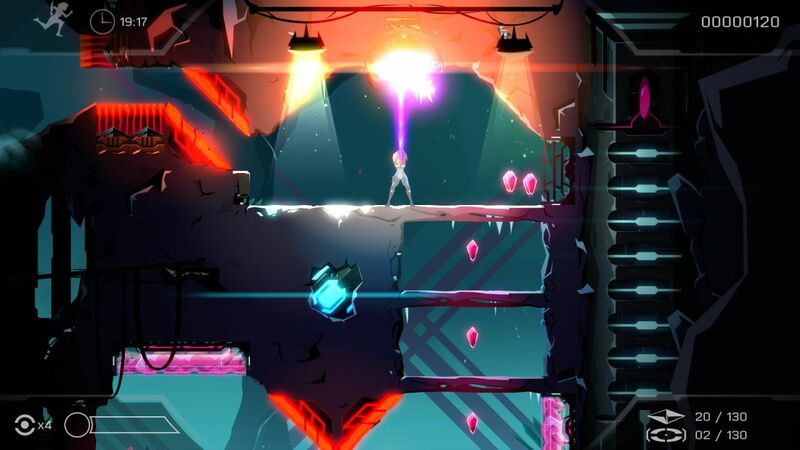 A direct successor to Velocity, Velocity 2X follows the story of Lt. Kai Tana, a brave pilot who has found herself stranded a long way from home after getting sucked through a black hole. "On Nintendo Switch, players will get the complete, no-compromise home console/PC version with all the graphical bells and whistles, whether playing at home on their TV at 1080p and 60fps, or on the Switch screen at 720p and 60fps," said FuturLab Managing Director James Marsden. Velocity 2X first launched in 2014 on PlayStation Vita and PlayStation 4, before launching on Xbox One, PC, Mac and Linux the following year.